Includes pop up waste and tap tails. 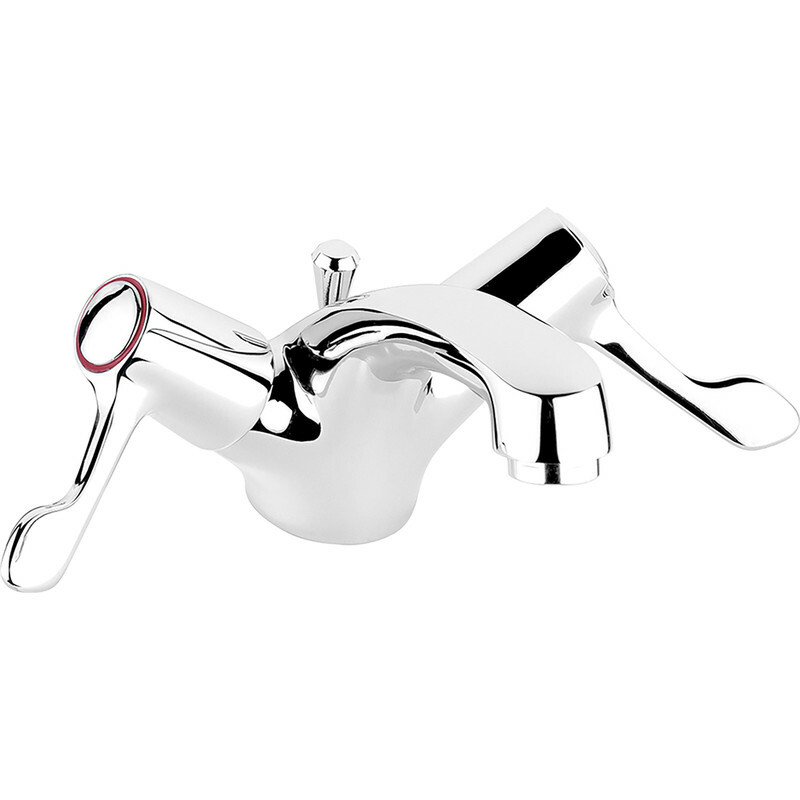 Contract Lever Mono Basin Mixer Tap is rated 4.0 out of 5 by 4. Rated 1 out of 5 by DML2 from Ouch! Cut fingers The tap seems OK but wear gloves when fitting the waste. The slots in the side of the waste have sharp edges and I suffered some small cuts to my fingers while tightening the waste by hand. Rated 5 out of 5 by Daza123 from Great taps Good quality tap at a great price. Came with copper tails and pop up waste. Very smooth operation and good choice if you have limited strength in hands or wrists. Rated 5 out of 5 by Stathe from Simple and efficient. Good quality tap for the money. Would recommend.